Contest: Enter to Win a KitchenAid Heritage Artisan Series Stand Mixer. 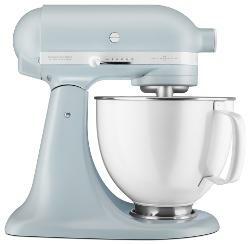 Enter to Win a KitchenAid Heritage Artisan Series Stand Mixer. Prize: Prize: KitchenAid’s Heritage Artisan Series Model K 5-Quart Tilt-Head Stand Mixer in a limited-edition Misty Blue finish valued $470. Statistics: This contest was opened by 64 and entered by 6 ContestChest.com members. 9% of those who opened the contest, entered it.